NuMedica NeuroMethylation Cream is available as a topical cream to provide you with the essential nutrients that support the body's methylation processes. Methylation is among the body's most common and most important chemical processes. It occurs in essential chemical reactions such as folate metabolism and cardiovascular health, detoxification and hormonal regulation. While a healthy lifestyle can promote adequate methylation, common exposure to environmental pollutants, stress and toxins prevent most people from having enough methyl groups. NuMedica NeuroMethylation Cream supports immune health and normal neurotransmitter production and metabolism. NuMedica NeuroMethylation Cream is formulated with five essential nutrients that support the body's methylation processes, including the "L" form of 5-MTHF, Vitamin B-12 as hydroxycobalamin, Vitamin B-12 as methylcobalamin, Vitamin B-6 and Vitamin D-3. This advanced formula, which is the foundation formula in NuMedica's Advanced Neuro-Immune Program, supports immune health and normal neurotransmitter production and metabolism. 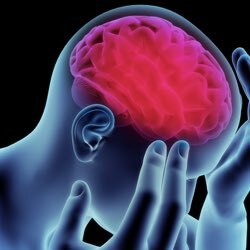 Insufficient methyl groups are associated with symptoms such as obesity, depression, pain disorders, mood disorders, tinnitus, chronic fatigue and more. NuMedica NeuroMethylation Cream ensures that the body's methylation processes have the support necessary for optimal function. NuMedica NeuroMethylation Cream promotes and improves the methylation processes that are needed to increase Vitamin D levels and provide optimal B-12, B-6 and vitamin delivery to the body's nervous and immune systems. It contains 5-MTHF, which is the metabolically active form of folic acid. Nearly a third of the population is deficient in the enzymes necessary to digest the folic acid found in foods and convert it to 5-MTHF. 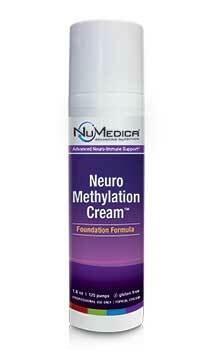 NuMedica NeuroMethylation Cream provides the 5-MTHF necessary for optimal health. This potent cream also helps improve mood stability, cognitive function, hormonal regulation, sleep/wake cycles and immune function. 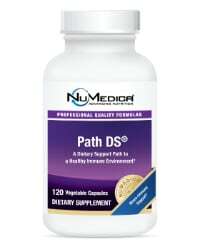 It includes nutrients such as Vitamin B-12 in methylated form and Vitamin D-3 to enhance the body's neurological and physical performance. Because this enhanced formula is applied directly to the skin, it effectively bypasses any mal-absorption issues that may occur in the gastrointestinal tract. These occurrences are especially prevalent when the body has high levels of toxins or digestive problems. NuMedica NeuroMethylation Cream provides the nutrients necessary to combat the issues commonly associated with insufficient methyl groups. Maintenance Dosage: 2 pumps daily; 1 pump in the morning and 1 pump in the evening. Advanced Dosage: 3 pumps daily; 1 pump in the morning, 1 pump mid-afternoon, 1 pump in the evening. For children under the age of 3 please consult with your healthcare practitioner. Storage: Keep away from light and heat. Do not store in direct sunlight or temperatures above 90°F. Do not freeze. Product is best when stored between 65 °F and 80°F.